Based on some photos of the Petrified Forest National Park mount of a Postosuchus kirkpatricki, it took a few lunches to finish this sketch. It is am archosaur from the Triassic, just in case you were wondering. 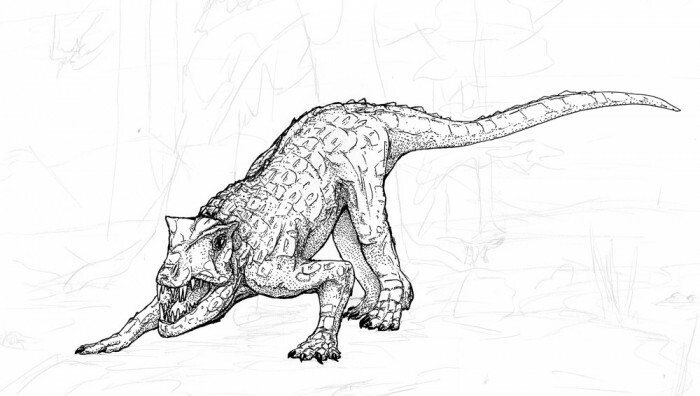 This entry was posted in Scanned Desksketch and tagged archosaur, extinct, paleoart, triassic by Anthony. Bookmark the permalink.